Bitmain has announced their 3rd generation Bitcoin ASIC miner chip – the BM1384 in conjunction with its 9th product – the Antminer S5 and is getting ready to start shipping the device before the end of the year. 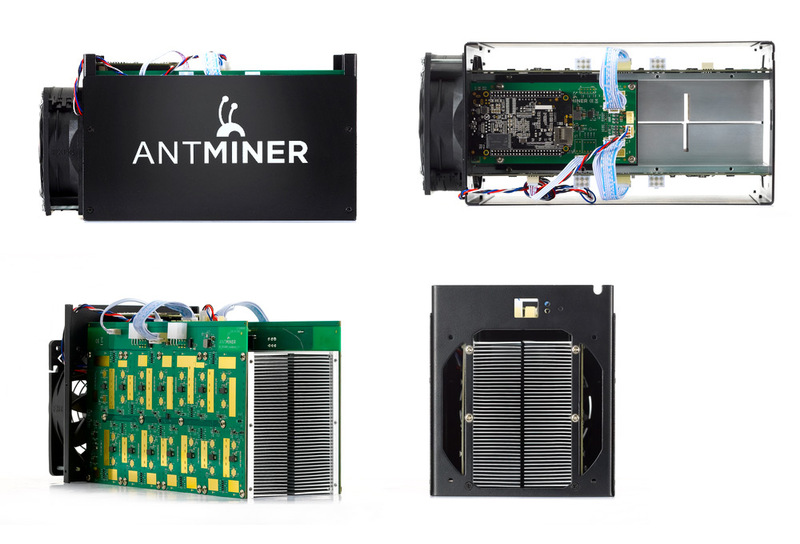 The Antminer S5 is the successor of the S3 and the S1 before that, building and improving the design of the previous generation of miners offering higher performance with lower power consumption thanks to the new BM1384 ASIC chips. The Bitmain AntMiner S5 should offer 1155 GHS hashrate with 590 Watt power usage at the wall according to the specifications, though that value may vary based on the power supply that you may pair the miner with (power supply is not included). The first batch of the S5 ASIC miners costs $418 USD and should start shipping on December 27th, the second batch is slightly cheaper at $413 USD per unit and should start shipping on January 4th 2015 or a few days later. What seems to be the most notable change in the latest design used by the S5 is the fact that now the miner has the aluminum heatsinks placed directly on top of the ASIC chips, unlike on the previous miners where they were on the back of the PCB and thus were not so effective. This new cooling design is supposed to provide the same cooling efficiency on the new miners that previous generation that had lower hashrate and power usage.